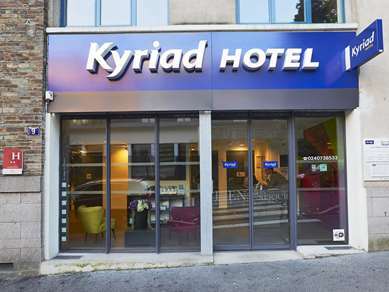 Hotel Kyriad Nantes Sud - Bouaye Aéroport is a 3-star establishment located just outside the south of Nantes, on the Noirmoutier-Pornic axis, less than 7 miles from the hisoric city center of Nantes and the Convention Center. 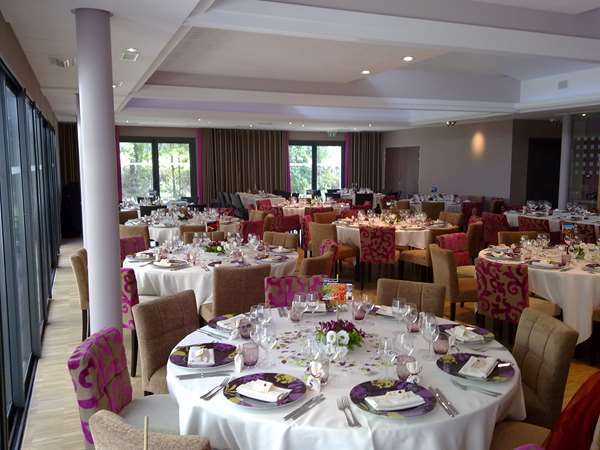 The hotel is also located just over 4 miles from Nantes Atlantique de Bouguenais Airport in a wooded park with flowers. 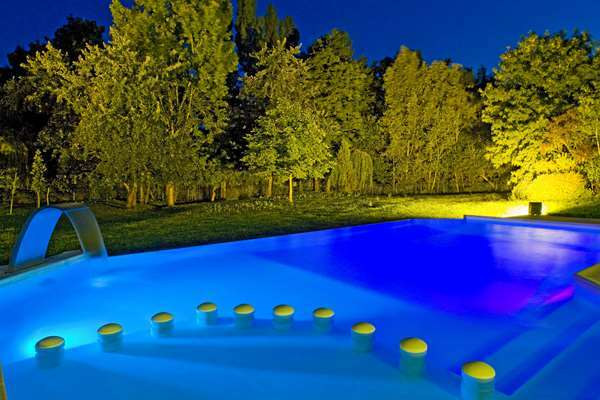 It has large gardens, 2 terraces, 2 bars, a heated outdoor pool in season, a jacuzzi and tennis court. 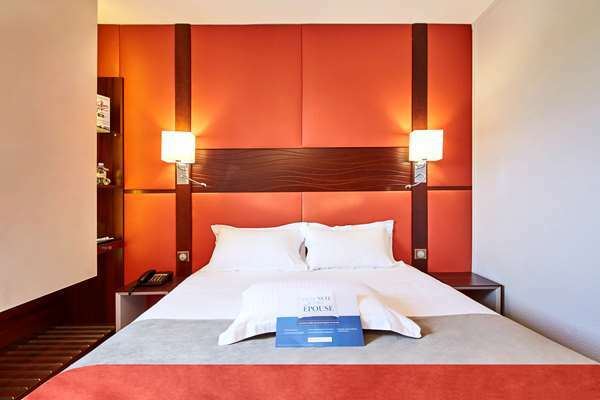 The 44 rooms of the hotel are modern, air-conditioned and soundproofed. 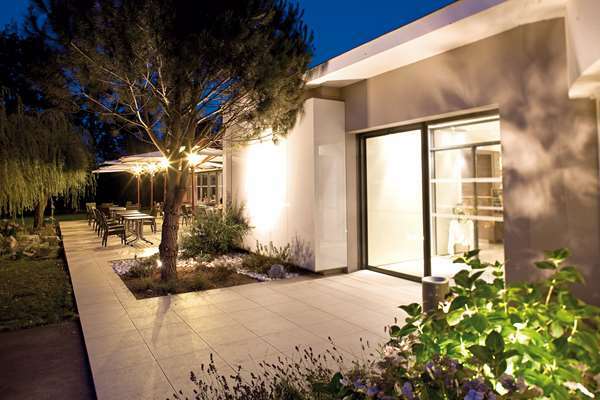 They have views overlooking the Muscadet vineyards or the pool. 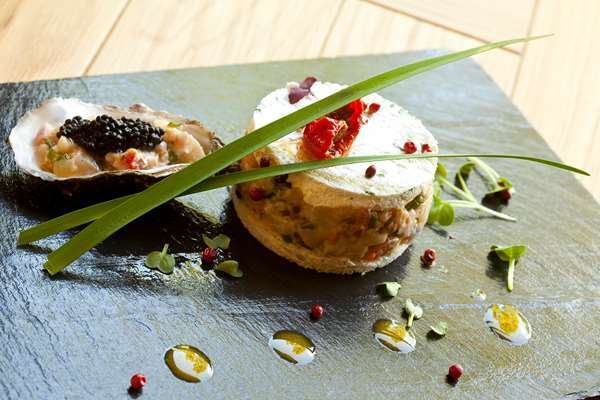 Les Champs d'Avaux restaurant is located at the hotel, offering tradition cuisine and fresh seafood. 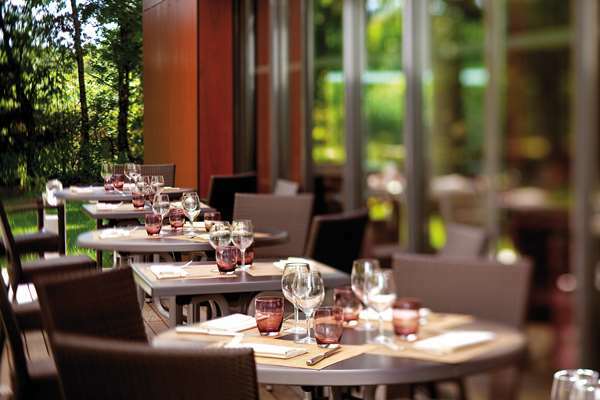 The restaurant offers 3 rooms seating 20, 60 and 130 people. 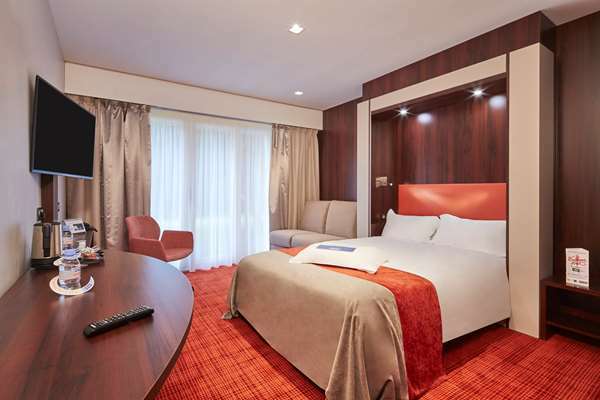 All rooms are in an elegant,comfortable, contemporary style with a view overlooking the garden or the pool. 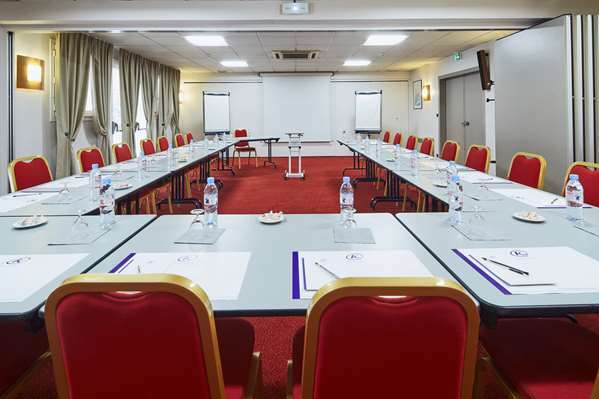 Hotel Kyriad Nantes Sud - Bouaye Aéroport offers free Wi-Fi and free private parking with 100 spaces, secured for cars and buses. 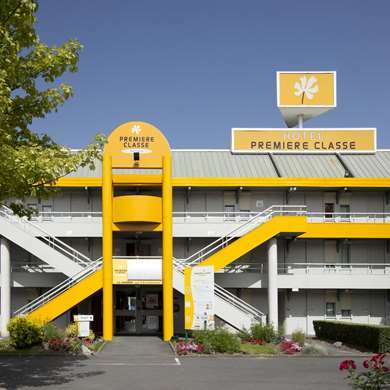 Located on the Loire à Vélo bike tour circuit, it also has a bike parking area. 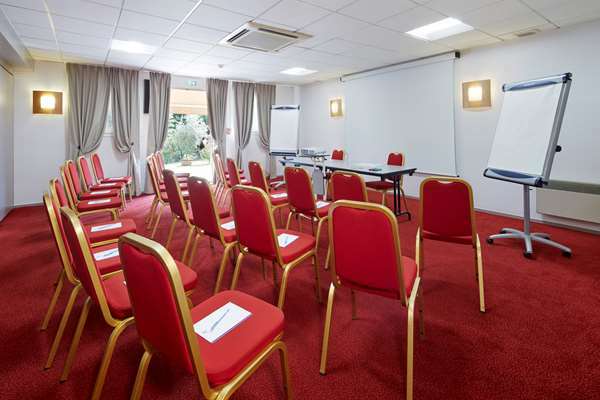 The establishment welcomes business and tourist travelers and organizes seminars and family or professional events (weddings, anniversaries, exhibitions, cocktails). 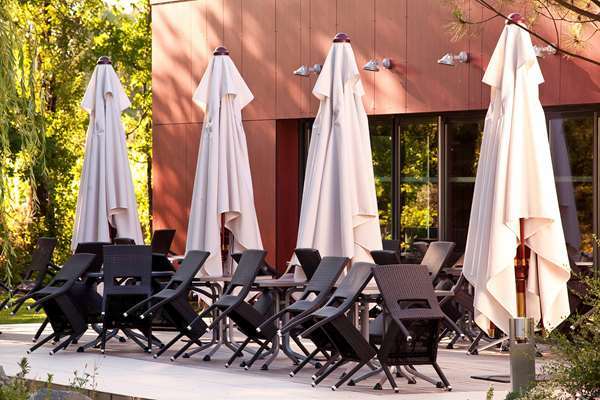 This is also the ideal place to discover the chateaus of the Loire Valley (Château des Ducs de Bretagne in Nantes), take advantage of the La Baule beaches, the Morbihan golf course, the Noirmoutier Island and Puy du Fou in Vendée. The hotel is popular with children due to its yards, gardens and pool. 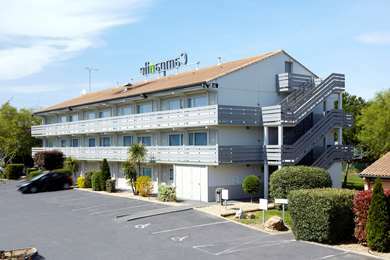 The hotel is located just over 3 miles from Port-Saint-Père abd thePlanète Sauvage wildlife park. 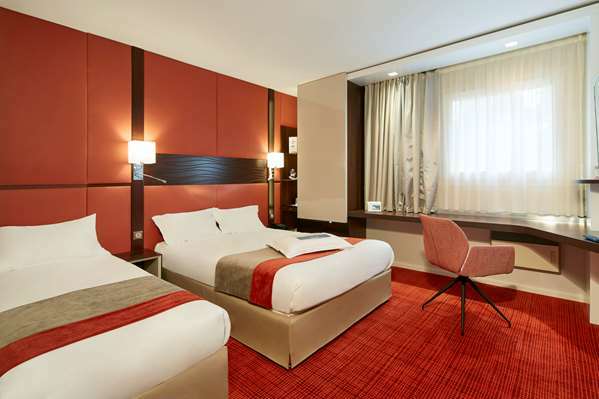 Our establishment offers 44 air-conditioned, function rooms with all the amenities. 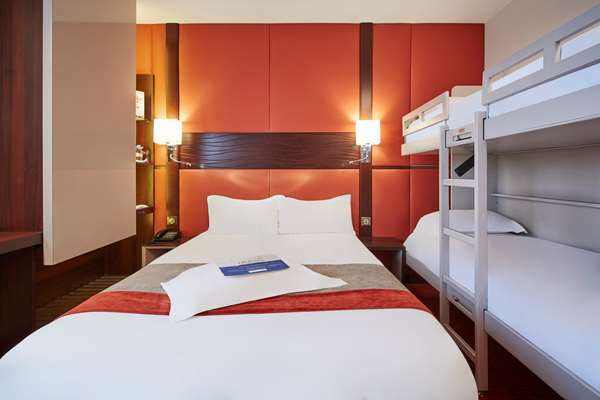 Each of our rooms are equipped with a flat-screen TV with 56 channels on TNT, 10 satellite channels, 2 pay per view adult channels, and access to video rentals through the VOD (Video On Demand) system. All our rooms have a courtesy tray with a kettle so you can make your own tea, herbal tea or coffee and enjoy a few shortbread cookies. 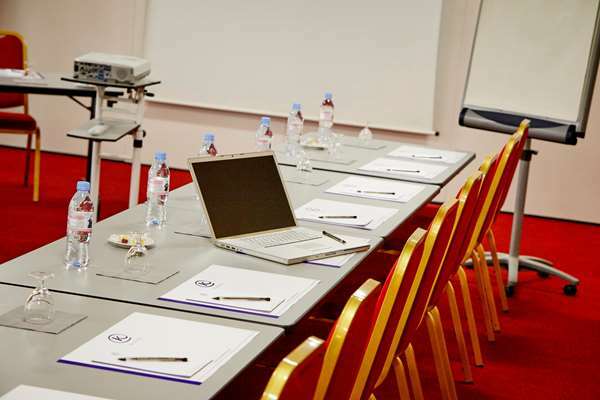 You also have a large desk where you can surf the web using the free Wi-Fi available throughout the hotel. 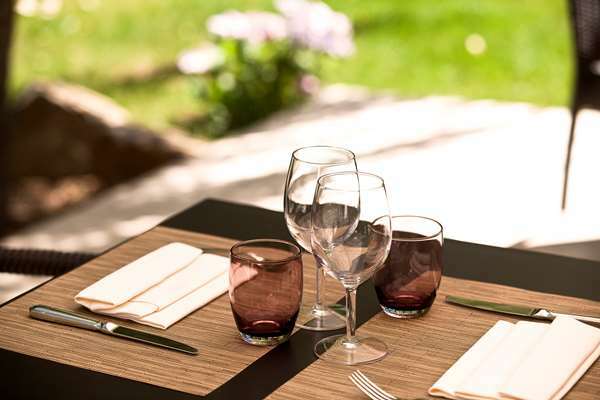 We offer comfortable rooms accommodating 1 or 2 guests with 2 beds or one large bed with a view overlooking the vineyards or the pool and garden. 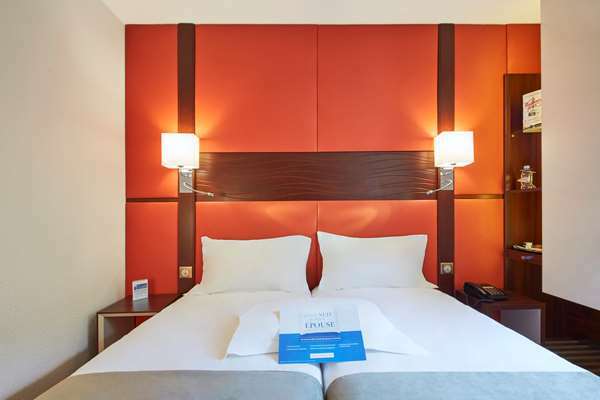 2 family rooms and 2 connecting rooms are available for families up to 5 people. 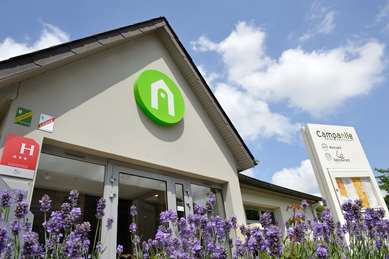 We also have 6 rooms on the ground floor that are accessible to people with reduced mobility. 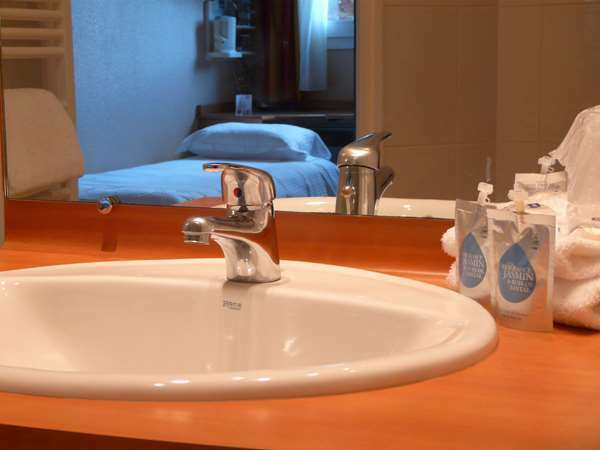 Our rooms are all air-conditioned and equipped with large beds or two twin beds, a bathroom with a bath or shower and hair dryer, and view overlooking the vineyards or the garden and pool. we had to stay in Nantes , as the plane was delay. 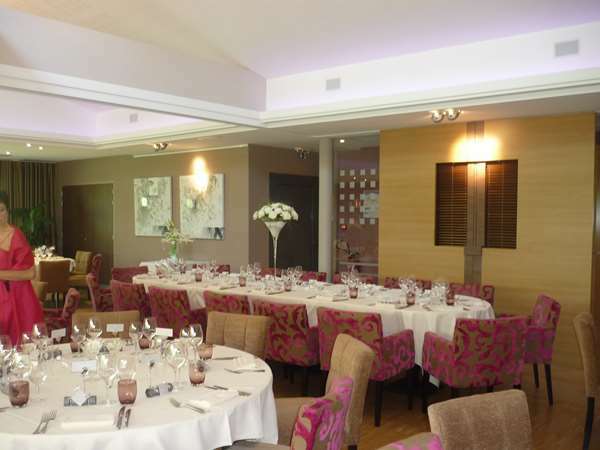 we find the room nice the food excellent and the staff and management very helpful. The chef was adventurous enough to mixe sweet and sour flavors .the waitress was very efficient and polite . We would like to thank you for your nice comment. 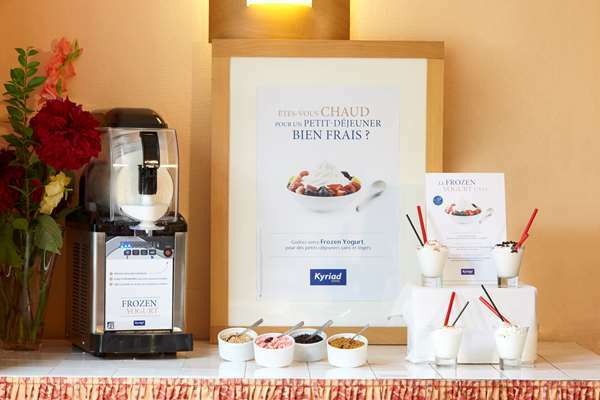 We are glad you appreciate your stay in our Kyriad's Hotel Les Champs d'Avaux. The room was small but well equipped. Breakfast was standard fare and the evening meal was excellent. 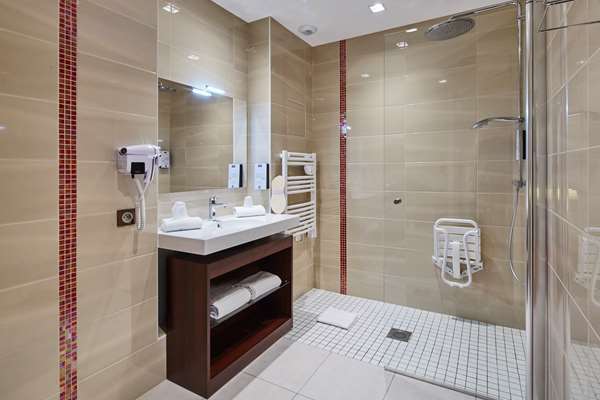 The hotel is located near to the airport and offers good value for money. Ideal for a short business trip. Thank you very much for taking a few minutes of your time to share your experience. I am delighted that your stay was very pleasant and that you took full advantage of our establishment. 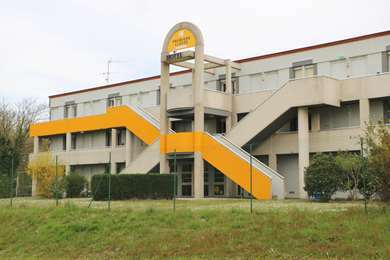 We chose this hotel due to its proximity of the airport as we needed to be at the airport at 9.00am. It didn't disappoint at all. The guy on reception was friendly and informative and booked us into the restaurant next door. The room was quite small but as an overnight stopover it was perfectly adequate and very clean. Tea and coffee making facilities including complimentary biscuits. The breakfast was 10 euros each and was a fair price as it was quite comprehensive. The best thing though about this hotel is the amazing restaurant next door. Oh my from the moment we went in we were made to feel special and as it was quite a small restaurant it was lovely and intimate but enough atmosphere not to feel you have to whisper. The waiter was first class and very helpful trying to point out menu choices in English. My husband speaks French very well but sometimes the translation is lost in menus and the waiter was quick to point out our queries. As I wasn't too hungry I opted for the goats cheese salad which was more than substantial and my husband opted for the pork which looked amazing. 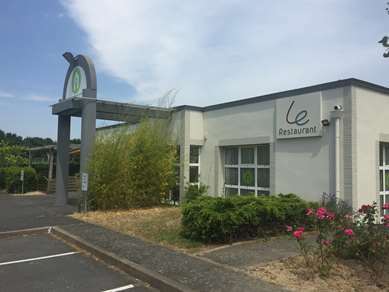 Overall a great choice and would definitely return here to stay if needed to access Nantes airport. We would like to thank you for your nice comment. 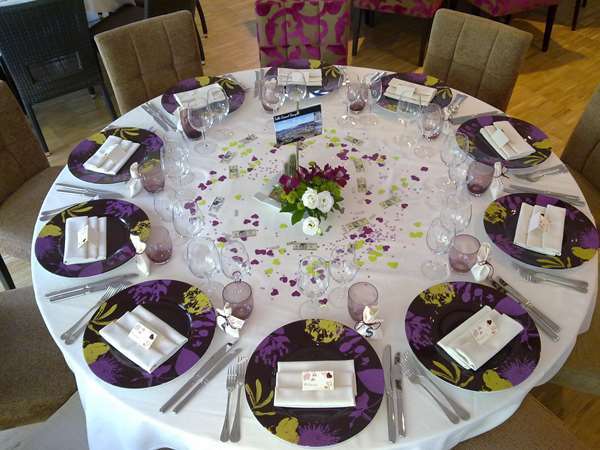 We are glad you appreciate your stay in our hotel and our restaurant.